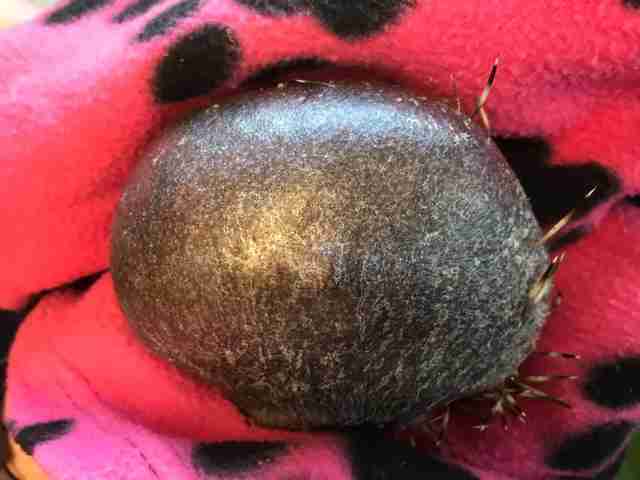 In January, a woman out in her garden Shropshire, England, spotted a discarded leather ball in the grass. Upon closer inspection, she realized the “ball” was, in fact, a naked little animal in need of her help. His appearance was so strange, however, that she couldn’t figure out what kind of animal she had on her hands, and assumed he was some sort of rat. 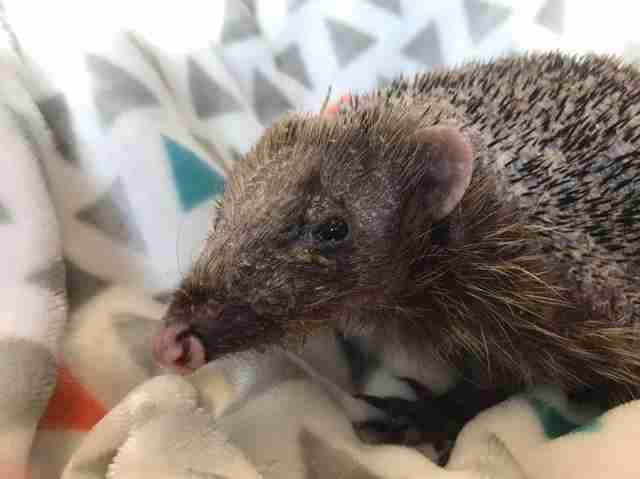 When she brought him to nearby Cuan Wildlife Rescue, an employee at the front desk identified the mysterious little creature as a young hedgehog. Nobody had ever seen anything like him before, including the center’s manager, Fran Hill. 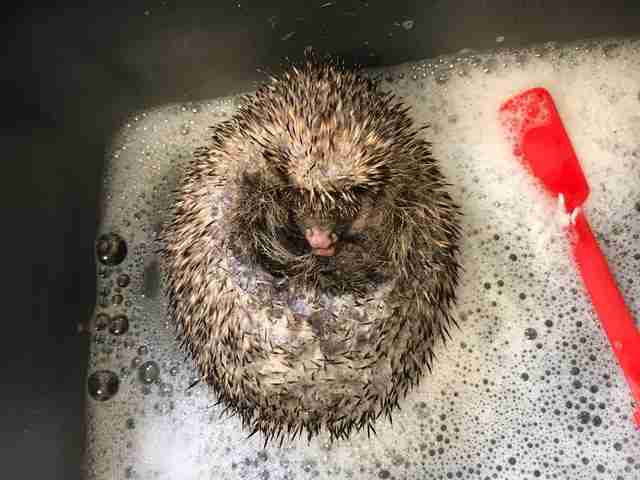 The hedgehog’s dry skin was covered in mites, and he was clearly starving. The irritating little bugs turned out to be the key to his uniquely bald appearance. 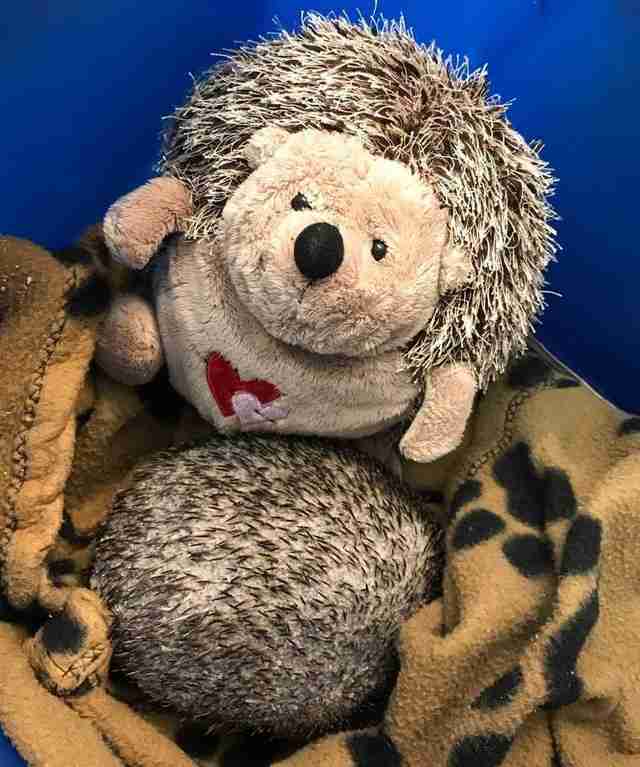 After a meal of cat food and an antifungal bath to soothe his skin, the bald hedgehog was set up in a pen with some soft blankets to keep him warm and cozy. The rescue does not usually name its patients so they don’t get too attached, but they decided to bend the rules this one time, dubbing him Bear. Along with helping Bear put on weight, his caretakers have also been giving him spa treatments. 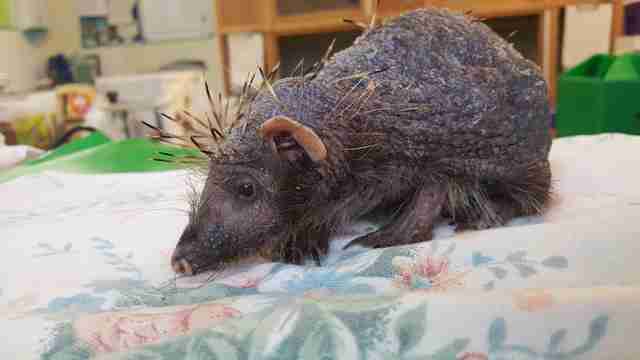 His tender skin is massaged with aloe gel daily “to improve blood supply for his spines to grow,” Hill explained. But Bear has not been entirely grateful for the attention. He would much rather be left alone — especially when it comes time to take his medication. … his spines are slowly growing back, and he’s feeling so much better. Bear still doesn’t like company — something the rescue workers are glad of as it will make his reintroduction to the wild that much easier. Come warm weather, Bear will be able to get one step closer to being released back into his garden home. “All we need now is for some good weather and he can move to an enclosure outside,” Hill added. 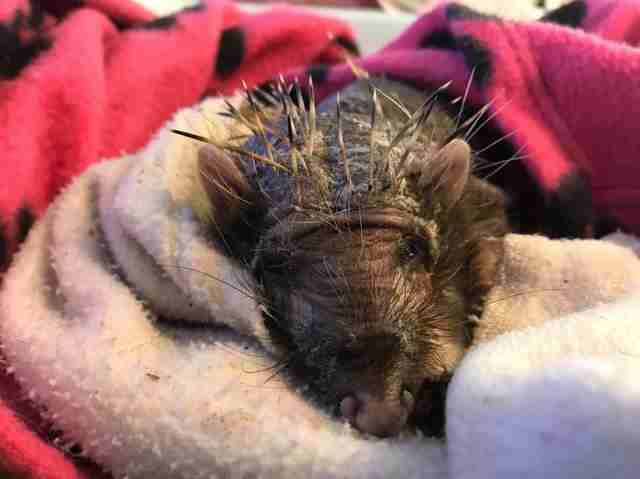 To help with Bear’s medical expenses, you can make a donation to Cuan Wildlife Rescue.